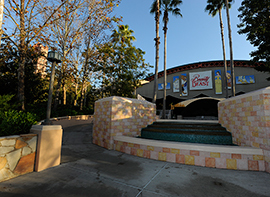 Sunset Boulevard, home to some favorite Disney’s Hollywood Studios attractions and shows, officially opened on this date back in 1994. Here’s an aerial view of the Boulevard still under construction from December 1993. 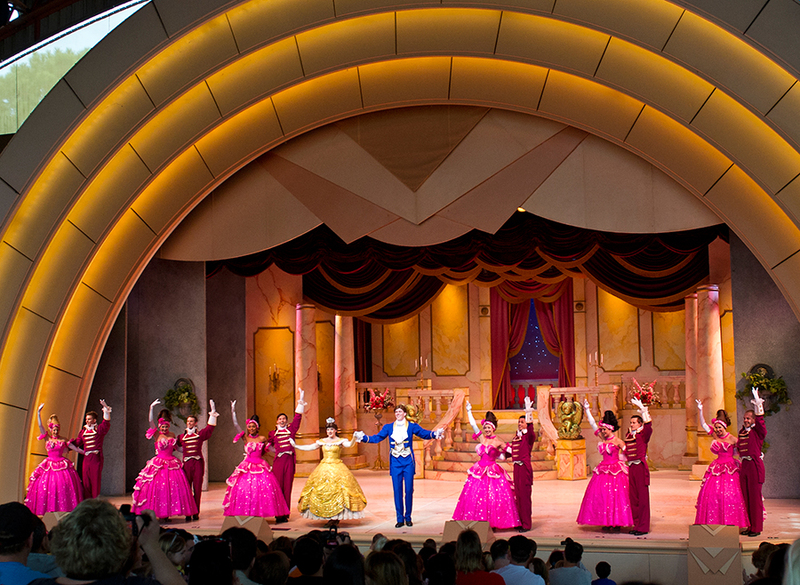 Beauty and the Beast – Live on Stage also began performances at the new Theater of the Stars, on the same day. This ‘tale as old as time’ has been performed at Disney’s Hollywood Studios since November 1991. 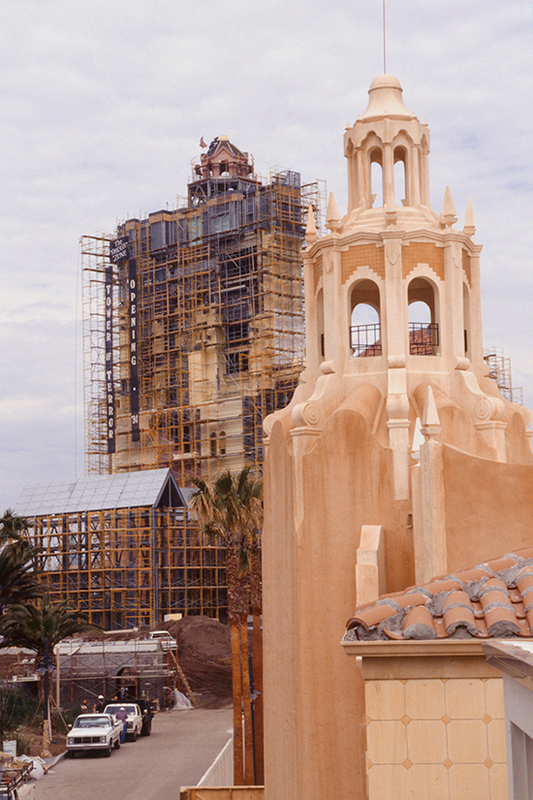 A little over a month later, The Twilight Zone Tower of Terror opened for business at the park. 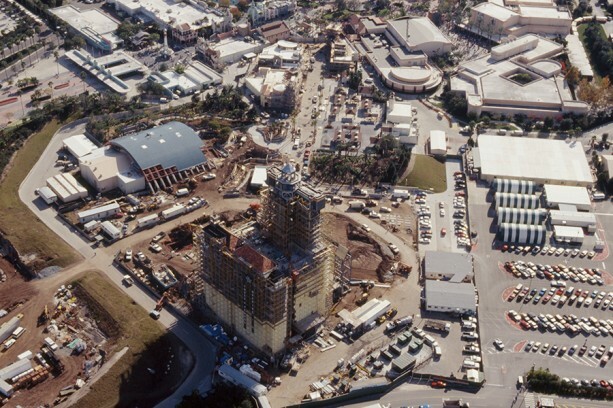 Here’s a February 1994 look at the exterior of the hotel guests like to drop … into. Whenever I go to the Studios, I often find myself making a right turn onto Sunset Boulevard to start my day. 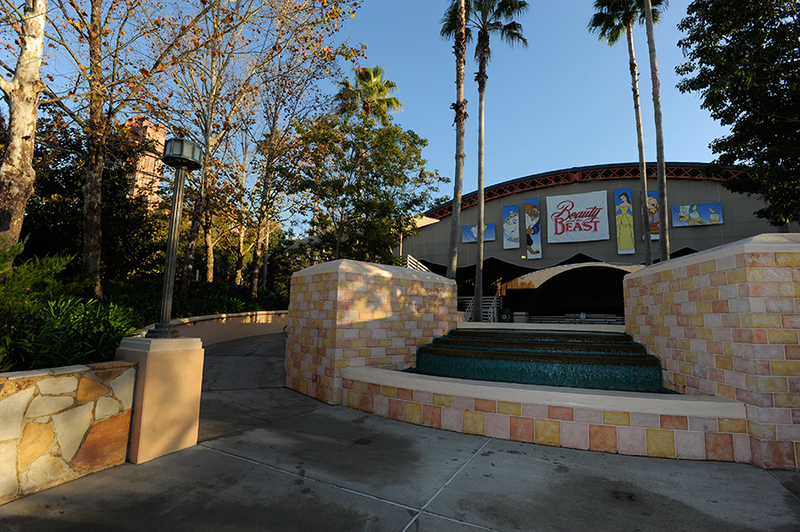 What’s your favorite part of Sunset Boulevard? Tell us in the “Comments” section below.